Here on Cape Cod we are fortunate to have the Cape Cod Melody Tent, one of only two continuously-operated tent theatres in the round left in the United States. The Cape Cod Melody Tent has been presenting live, world-class entertainment for almost 60 years. This summer theater is a popular destination for residents, visitors, and touring performers alike. Such talented entertainers as Tony Bennett, Bill Cosby, Vince Gill, Johnny Mathis, B.B. King, Joe Cocker, the Beach Boys, Frankie Valli & the Four Seasons, and Aretha Franklin appear year after year to a packed house. Charlie and I have attended countless performances at the Melody Tent over the years. It is a truly wonderful and intimate theatre experience that we always enjoy. Whether this is because the theatre has only 2,250 seats or because the last row of seats is no more than 50 feet from the stage, their promise to put you “Closer to the Stars” could not be more true. Appearing for the 2010 Summer Season are such icons as Willie Nelson, B.B. King, Aretha Franklin, Huey Lewis & The News, The B-52s, Hanson, Melissa Etheridge, and Adam Lambert of American Idol fame. Memorial Day weekend is traditionally “Opening Day” for the box office, located at 21 West Main Street in Hyannis. This year, that will be Sunday, May 30th at noon. The box office will be open daily from noon until 6:00 pm throughout the season. You can see a full listing of shows, show dates and times, a diagram of seating, and purchase tickets online from their website at http://www.melodytent.org./ You can also purchase tickets by phone at 1-800-745-3000. If you are planning a trip to Cape Cod this summer, come stay with us at our Cape Cod Bed and Breakfast Inn and take in a great live performance at the Cape Cod Melody Tent. You’ll be glad you did. Last weeks guests at our Cape Cod Bed and Breakfast Inn loved the Pine Ridge 2008 Chenin Blanc-Viognier and the Feudo Arancio Stemmari Sicilia 2008 Pinot Noir that we served.We also tried a nice locally produced Chardonnay from Travessia Urban Winery in New Bedford, MA. Our guests, Marie and Richard, brought us some of these wines to taste. Richard makes his own wines and was very impressed with the wine maker who sourced the Chardonnay grapes from California and produced a lovely unoaked Chardonnay. I think a trip to New Bedford is in my near future to taste more to these wines. Yesterday, we had an impromptu wine tasting with our friends from Cellar 55 Wine Merchants on our back patio. These small gatherings of wine lovers are affectionately referred to as Charlie’s ‘Wine Patio’. The fruits of are labor, is my guest wine offerings for this week. For the white wine, I am serving a Buitenverwachting 2009 Beyond Sauvignon Blanc from South Africa. Buitenverwachting is German for ‘beyond expectation’ and I think this wine is representative of the fine wines coming from South Africa today. My red is the 2008 Camille Cayran Secret de Campane from France’s Southern Rhone region. It is a fun blend of Grenache, Carignan, Cinsault and Merlot. The Memorial Day weekend in Sandwich is a favorite of mine because the Memorial Day parade passes in front of the Inn. A twenty-one-gun salute is fired at the Civil War and Korean War memorials in Town Hall Square, right at the end of my driveway. I get to put out all my American flags and our guests enjoy the patriotic scene almost as much as I do. The weather is predicted to be clear and warm, a perfect match for the light and easy-drinking wines I look forward to sharing with my guest. What most folks may not know about Cape Cod is that it is a haven for up-and-coming and established artists as well. In addition to endless subject matter, artists and artisans are drawn here because of the opportunities to study, grow, exhibit, and sell their work. The uncommon beauty of Cape Cod is reflected in the work of these talented people. Saturday, May 22nd, is the opening of one of the more enchanting and colorful art shows on the Cape. 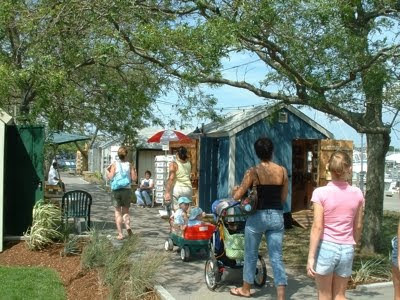 The “Harbor Your Arts” Artist Shanties in Bismore Park in Hyannis will be opening for the 2010 season at 11:00 am. More than 55 Cape Cod artists and artisans will display their work in quaint little “shanties” overlooking picturesque Hyannis Harbor. This program provides a unique, affordable harbor-front location for local artists to create and sell their work. The shanties will be open from 11:00 am until 5:00 pm Saturdays and Sundays through June 20th. Starting June 26th, they will be open from 11:00 am until 8:00 pm daily throughout the summer. When visiting Hyannis, take a stroll along the “Walkway to the Sea.” This brick path will lead you from Main Street at the Village Green down to Ocean Street, Hyannis Harbor, and Bismore Park. At the Artist Shanties you will find paintings, photography, handmade jewelry, stained glass, mosaics, ceramics, sculpture, scrimshaw, mariner knot work, rock jewelry and much more. If you would like to explore the artists and artisans galleries and studios throughout Cape Cod and the Islands of Nantucket and Martha’s Vineyard, come stay at our historic Cape Cod Bed and Breakfast Inn and we will provide you with a copy of Arts & Artisans Trails. We can also provide you with tickets to Nantucket on the Steamship Authorities' high-speed ferry at a discounted price. Whether in one of the shanties on the harbor, a barn off the beaten path, or one of the many lovely galleries, you are sure to find a remarkable piece of art to take home as a reminder of time spent on Cape Cod. Last week I blogged off to rush to a great wine tasting at the Belfry Bistro presented by my friends from Cellar 55 Wine Merchants. The wine was Chalk Hill Estates Vineyards from Healdsburg, CA in Sonoma County. A few years back, Jan and I did the ‘Sideways’ Pinot Noir tour and ended up our two-month wine tasting tour in Sonoma. This was our first trip to this beautiful wine county, but not our last. I would put Chalk Hill Estates on our must see list for our next trip. With perfect spring weather on the horizon for this weekend, I am looking for lighter and brighter wines for guests at our Cape Cod Bed and Breakfast. I spent my research time at Cellar 55; it’s tough work, but someone has to do it. Considering the temperatures will be in the 70s and my guest, returning from their day’s adventure, may be in need of a pick-me-up refreshment, I went for a crisper white and fruitier red. Both can be enjoyed on the inn's back patio in the late afternoon sun. I just thought it was refreshing and a great spring ‘deck’ wine. "An elegant wine that embodies the intensity of Sicily. Color: intense red with hints of violet. Bouquet: vibrant bouquet of blackberries and strawberries with hints of wood and black and white pepper. Flavor: mature and full-bodied with aromatic elegance and a hint of spice. Balance of aromas and fruitiness makes it distinct." Cellar 55 now carries this wine and I am please to offer it to my guest. As of today, I am planning the above offerings, but this could change if I discover something new before the current stock in the cellar is enjoyed. Please plan to join us this weekend or check this blog to see what wine treats will be in store for you when you do visit us. Restaurant Weeks around the country are offering culinary experiences worth exploring. 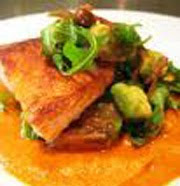 Cape Cod Restaurant Week 2010 began on Monday, May 17th and continues through Sunday, May 23rd. More than 30 restaurants from Sandwich to Provincetown will feature specially designed 3-course dinners priced between $25 and $35 dollars (not including tax and gratuity) or a 25% discount on select menu items. 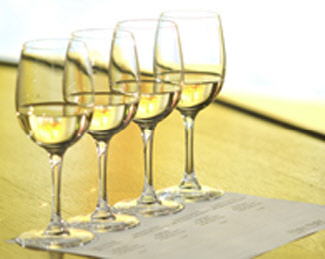 Log onto Cape Cod Wine and Dine for information about participating Cape Cod Restaurants and, while you are there, enter to win airfare for two to Nantucket and a visit to the Triple 8 Distillery. As part of this Cape-wide event, Sandwich Restaurant Week continues through Friday, May 21st. 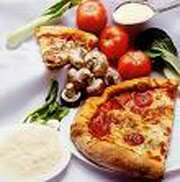 The Sandwich Chamber of Commerce has a complete listing of participating restaurants. You can call the restaurants directly to make reservations or come stay at our Cape Cod Bed and Breakfast Inn and we will make the reservations for you. Here at the 1750 Inn at Sandwich Center we enjoy our wine; reading about it, learning about it, talking about it, drinking it, and sharing it with guests who are staying at the Inn. Each week Charlie, our resident wine guru, will be sharing some of his experiences with, and some things he has learned about, wine. He will also be sharing information about the wines we will be serving at the Inn. Below is Charlie's first Weekly Wine-ing. 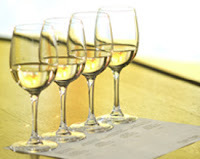 Check our blog each Wednesday to find out what wine is being featured at our guest wine tasting each week. Then, make a reservation to stay with us and try it for yourself. As Jan mentioned in her introduction, I'll be sharing my wine selections for the Inn in the weekly blog she lets me write. But, for now, I am just happy to be back home in Sandwich and close to my favorite wine shop, Cellar 55 Wine Merchants, where I find great wines for my cellar and to share with our guests. In our winter travels, we always look for new wine stores and wine bars to see what is being offered in other parts of the country and then we ask Cellar 55 to bring them into the store. Near the end of last year's trip, we discovered a new wine bar, Wine World at Watercolor in Santa Rosa Beach, Florida between Grayton Beach and Seaside. We met up with our friends Jane and Greg who introduced us to their new wine and bread diet. At Wine World we bought our bottles of wine in the retail shop and carried them into the bar area where we ordered wonderful platters of cheeses and olives with dipping oils and great breads. I selected a Mollydooker Two Left Feet Shiraz that worked well with the food. A few days later, we stopped in Ashville, NC and found a delightful wine bar in a great old art deco style building in the downtown business district. What a pleasant surprise after running into snow in the mountains and having a hard time finding a parking space big enough for the RV. This quiet little bar, the Sante Wine Bar, offered tasty tapas prepared by the owner/chef who took the time to come out and check on us frequently. We found a new wine, Petite Petit, a petite syrah and petite verdot blend that was great with our goat cheese board. Ashville was a short stop on our way home. This is the first time we have taken a route through the Carolinas from west to east instead of our usual south to north fly by on I-95. To my surprise, there were lots of vineyards and wineries along the way, which we unfortunately did not have time to visit. We also made a quick stop for lunch in Charlottsville, VA., the home of Thomas Jefferson's Monticello, which we visited last year. In my cellar I still have a very special bottle of Monticello Claret from Barboursville Vineyards near Jefferson's original vineyards. So, I was aware that this part of the state has a wine industry, but I was impressed by the large number of wineries in this immediate area. I now have "wine country" maps for both NC and VA and next year, if the weather cooperates, we will stop and try the local wines. I love the California wines mainly because we have had the good fortune to visit many of them personally. So next year, I'll broaden my horizons and try grape wines from these regions. Sorry, but I am still passing on the "fruit wines" that I tried by mistake in Florida. Always in search of great wines to offer our guests, I am off to a Chalk Hill Estates Vineyards tasting at Cellar 55. 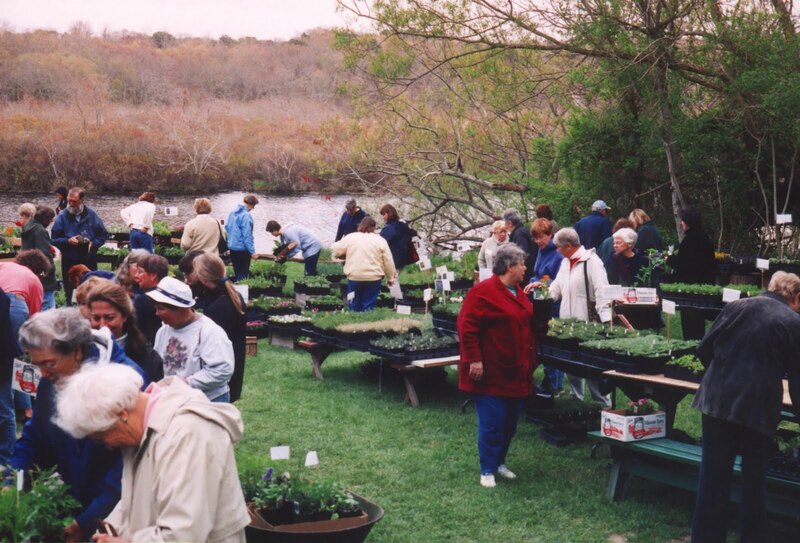 You know summer is just around the corner when it's time for the Annual Green Briar Herb Festival and Plant Sale. 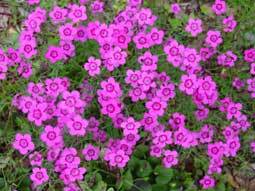 On May 15th, 16th, and 17th, from 10:00 am to 4:00 pm, you can select plants for your garden from a wide assortment of the best herbs, perennials, wildflowers, everlastings, and annuals at great prices. The Herb Festival features exhibits and demonstrations on the uses of herbs and there are craft booths and guided garden walks. Admission to the festival is free. One of the highlights of the festival is the Herb Luncheon that will be held on Friday, May 15th with seating's at 11:30 am, 12:45 pm, and 1:30 pm. Reservations are required to attend the luncheon and there is a small fee. The cost for members is $13 per person and for non-members, just $16 per person. Seating is limited so make your reservation early by calling 508-888-6870. We at the 1750 Inn at Sandwich Center look forward to this event each year so that we can purchase our herb plants. 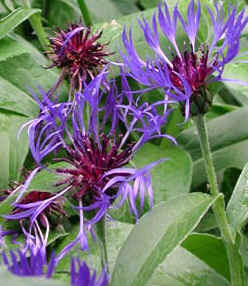 It is wonderfully gratifying to harvest herbs from your own garden to use in your kitchen. This will be the 29th year for this wonderful event. The Green Briar Nature Center, with its' spectacular wild flower garden, is a favorite of locals and visitors alike. It is located on the shores of Smiling Pool and adjacent to Briar Patch, made famous by the Thornton Burgess stories, and home of Peter Rabbit. The Briar Patch Conservation Area is 57 acres of walking trails that are open to the public. This is a must see for visitors to Sandwich and Cape Cod. The Green Briar Nature Center is located at 6 Discovery Hill Road, off of Route 6A, in East Sandwich, Massachusetts. If you would like to become a member, applications are available on the Thornton Burgess Society website. 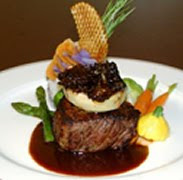 Spring menus are printed and Sandwich's restaurants are serving a diversity of fabulous cuisine. Whatever your food preferences, it's in our Sandwich. Starting Sunday, May 16th and continuing through Friday, May 21st, thirteen restaurants in the Cape Cod Village of Sandwich will be featuring seasonal and locally grown foods. Some restaurants are offering 25% off menu items and others are offering a specially priced 3-course diner menu. Whether you love locally or are visiting Sandwich, you will find something delicious that suits your palette and your wallet. Participating restaurants include Aqua Grille Bar & Bistro, The Bee-Hive Tavern, Belfry Inne & Bistro, Bobby Byrne's Pub, Boosters Bar & Grille, Dan'l Webster Inn, Dunbar Tea Room, Hemisphere, Marshland, Marshland Too, The Painted Lady, Seafood Sam's, and Surf's Up Pizza & Seafood. Each restaurant's menu and offerings will be posted on their website after May 7th. If you would like to try something unusual and delectable during Sandwich Restaurant Week, make a reservation for the Belfry Bistro Sake Tasting on Wednesday, May 19th from 6pm to 7pm. Executive Chef Daniel Kenney will prepare food parings for you to enjoy so that you may fully experience Sake as the fine wine it is. Afterwards you will certainly want to stay for dinner at the Bistro or walk next door to dine at the Painted Lady. At the 1750 Inn at Sandwich Center, we are offering a package for two nights in a lovely guest room of your choice (Tuesday & Wednesday or Wednesday & Thursday), reservations for 2 at the Sake Tasting at the Belfry Bistro, and then a 3-course dinner at the Bistro after the Sake Tasting. This special offer just for Sandwich Restaurant Week is just $399 including room taxes. * This special is only available to our blog readers. Call us to make your reservation. Sandwich Restaurant is generously sponsored by the Sandwich Chamber of Commerce, Sysco, and The Community Bank. * Package does not include alcoholic beverages or meal taxes with dinner. Looking for something different to do? We have the perfect suggestion. How about a "Jam Session" in a historic 1903 kitchen. The Green Briar Nature Center in Sandwich, MA is home to the historic Green Briar Jam Kitchen. Started by Ida Putnam in 1903, it is a living museum. The kitchen still uses Ida's recipes for the old fashion, natural preperation and preserving of jams, preserves, jellies, and pickles. 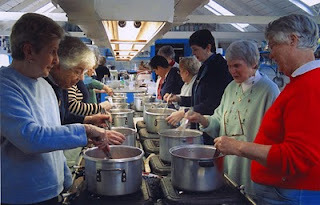 "Jam Sessions" for adults are held throughout the year where participants help in the preparation and preservation of jam and take home what they make along with a recipe booklet. On Wednesday, May 5th from 6:30 pm to 8:30 pm, and on Saturday, May 8th from 9:30 am until 11:30 am, Strawberry Jam in on the agenda. You will help with the jam making and preserving and receive 4 to 6 jars of jam to take home for your own table or to share with a friend. Who wouldn't love receiveng such a wonderful home-made gift? A full schedule of Adult Jam Sessions is available on their website. Registration is required and the fee is $38 per person and all materials are provided. Why not grab a couple of girlfriends and come stay at our lovely, historic Cape Cod Bed and Breakfast. Check into the inn on Wednesday afternoon and attend a Jam Session at the Jam Kitchen on Wednesday evening.On Thursday morning you can have a scrumptious breakfast before you take off for a day of sightseeing around the Cape. Jan Preus, the innkeeper, chef, and artist in residence at the 1750 Inn at Sandwich Center, Sandwich, Cape Cod, Massachusetts.